Charlie Quintana, a drummer best known for his stints with Cracker and Social Distortion, has died after suffering a heart attack at the age of 56. Charlie “Chalo” Quintana has passed away. One of the greatest drummers of all time. A true test of a drummers ability is a slow song. No one could ever match him on this. It was an honor to have recorded this and so many other songs with him. 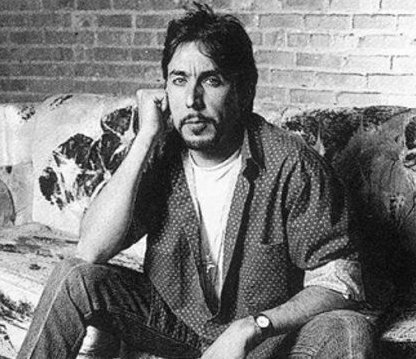 Quintana's first professional experience was during the 1970's as a member of The Plugz and he went on to play in such groups as Cruzados, The Havalinas and Izzy Stradlin & the Ju Ju Hounds along with touring and/or recording with artists like Bob Dylan, Joan Osborne and John Doe. In 1995, he joined Cracker, replacing Johnny Hott, and appeared on their 1996 album The Golden Age. That same year, he moved to the band Agent Orange for their album Virtually Indestructible (1996) before becoming the drummer for Ness' solo band, recording the album Under the Influences (1999) with him. In 2000, Charlie joined Social Distortion, replacing Chuck Biscuits, and stayed with the band for ten years until 2009 when he left to explore other opportunities and spend time with his family.